The video game industry is unforgiving. Indeed, of all the big players in the home console market during the 1980s – an era that saw the market both boom and flop – Nintendo remains the only one still in the business of making hardware, and for that they deserve a huge amount of credit. After single-handedly ensuring for the continued prosperity of the home console after the success of the NES, Nintendo has forged a legacy of iconic characters and video game hardware that extends to every corner of both the industry and the entirety of pop culture. Nintendo is beyond a household name. Similarly to how JEEP became the universal word to describe an off-road vehicle, or Hoover to describe a vacuum cleaner; the Gameboy is still what many people use as a blanket description for a handheld device, and Mario is comfortably the most recognizable video game character of all time. Whatever your feelings toward Nintendo today, one has to have appreciation for impact they have had on the industry that we all love and enjoy. Impressive, though, as this universal recognition might be, it is also a root cause for great concern in regards to the direction that the company seems to have made strides toward in recent years. Nintendo’s position in the market today is an intriguing one. As a company, they have embraced segregation from the video game industry’s other highly successful consoles. This determination to occupy a separate space in the market is a policy that gained significant momentum after the commercial success of the Nintendo Wii. The consoles impressive 100 million unit haul ushered in a renewed era of commercial success for Nintendo after the somewhat disappointing sales of both the N64 and Gamecube. The Wii’s novelty control system was responsible for its widespread appeal to an audience of far greater scope than anything seen before it. Another notable aspect to its dynamic is that while the Wii did benefit from some third party support, the console was propped up almost by Nintendo’s own first party studios; its ecosystem thriving comfortably thanks to the plentiful staple of popular Nintendo characters, rehashed across dozens of great games. The Wii, then, was critical in helping to cement the notoriety of the Nintendo brand and its affiliated franchise’s to an even wider audience, including many newcomers to gaming. 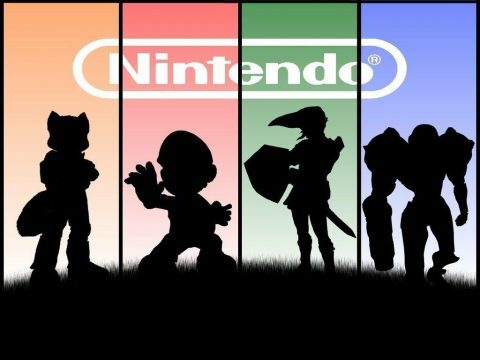 More importantly, however, it was quite possibly the most influential factor in convincing Nintendo’s directors of two key elements that would shape the company’s strategy moving forward: firstly, that Nintendo was capable of sustaining itself purely based on the popularity of its trademarked franchises. Secondly, to better nurture and foster a self contained ecosystem not reliant on third party support, Nintendo should always prioritize penetrating an alternative video game market through their hardware, a space removed from competing with other manufacturers. It seems likely that at the core of both of these strategic ideals, Nintendo’s leadership intended to create a highly fruitful and profitable ecosystem, an ecosystem which they could harvest maximum returns and remain in complete control of their brand identity. On paper, it is shrewd business, but in practice it has felt like an increasingly soulless corporate venture. Glance at a list of what are commonly thought to be some of the best video games of all-time and the majority of those titles are first party Nintendo games. Nintendo has always and continues to produce fantastic gaming experiences. Yet, the driving force behind Nintendo over the past decade has seemed less about the development of stellar video games and far more about reinforcing Nintendo brand power; the creation of a trademark entity that supports an extremely lucrative ecosystem. Each popular Nintendo IP now has a spinoff title or 3DS version, and an accompanying Amiibo toy. Every company prerogative seems to fall directly in line with nurturing a synergy of Nintendo products for the purpose of revenue generation. Of course, every company needs an effective business strategy to ensure commercial profitability. 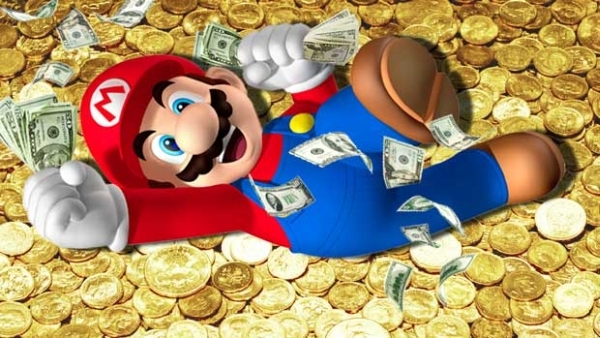 Nintendo exists to make profit, however much we, as fans, or developers as artists enjoy games as experiences and entertainment, success is ultimately measured in the numbers. Yet, what we have seen from Nintendo over the past decade has seemed at times, and with ever more frequency, a cold and unabashedly corporate march toward revenue generation and profitability. Where is the magic in entertainment that Nintendo used to embody in such an endearing manner? It feels all but null and void these days. Indeed, arguably among no other faction in the video game industry is there a company so shamelessly and blatantly demonstrated exploitative practices as Nintendo has done. What is by far and away the most frightening aspect to this whole charade, however, is that the majority of Nintendo fans seem totally unfazed by the process.